Prime Minister Theresa May has won a vote of confidence in her leadership of the Conservative Party by 200 to 117, reported BBC. After securing 63 per cent of the total vote, she is now immune from a leadership challenge for a year, stated the report. 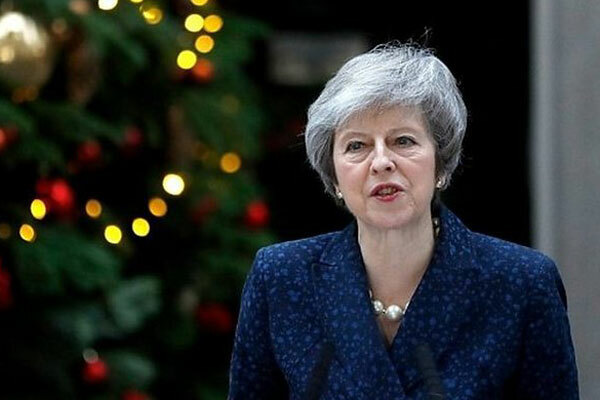 The prime minister won the confidence vote with a majority of 83, with 63 per cent of Conservative MPs backing her and 37 per cent voting against her. However, BBC's Laura Kuenssberg said the level of opposition was "not at all comfortable" for the prime minister and a "real blow" to her authority. Of course her colleagues in govt relieved that she can try to carry on but it's a survival not success tonight - another big knock to the PM's credibility, and no solution at all to the gridlock in Parliament - she's survived, her brexit compromise can't in its current form, she tweeted. "In the cold light of day when people reflect on that number - 117 - it's a massive number, far more than anyone was predicting. I think that will be very sobering for the prime minister. I think she needs to think very carefully about what she does now," she added.